A rhapsody of flavours unites in our brand new hazelnut-inspired dessert: the ultimate summer indulgence. 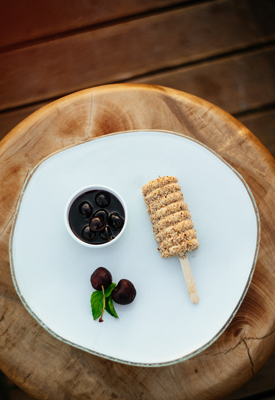 Enriched with the delicate tartness of fresh cherries and berry compote, and sprinkled with a dusting of crushed hazelnuts, this melt-in-your-mouth dessert is sure to become a firm favourite. Whether culminating a lavish dinner or savoured as a standalone treat, it’ll beckon you back again and again: it’s simply too moreish to resist!